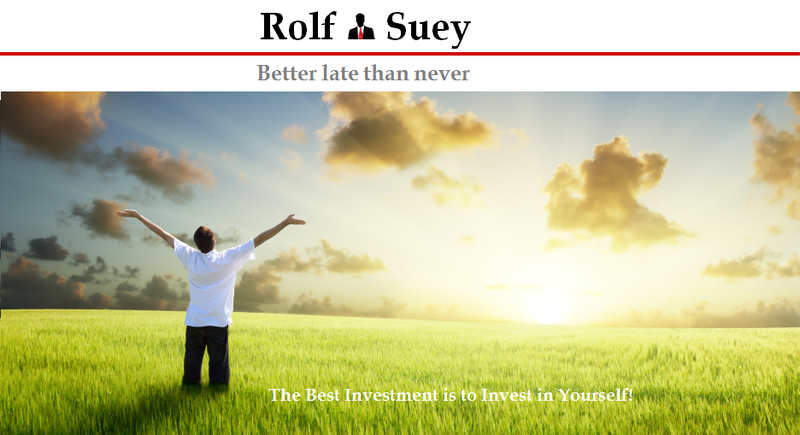 Rolf Suey - Better Late Than Never: Will You Give Up Your Life Exchange For a Successful Singapore? Will You Give Up Your Life Exchange For a Successful Singapore? 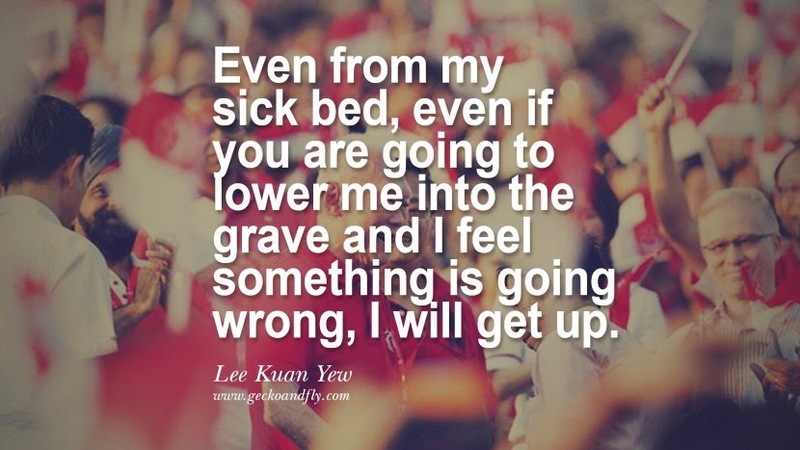 Prime Minister Lee Hsien Loong quoted the above message on behalf of Mr. Lee Kuan Yew towards the end of loving father's life. We all know that our founding Prime Minister Lee Kuan Yew passed away on 23 Mar 2015 morning. Singapore will mourn for his death for the next 7 days. I considered myself so fortunate to have read his last two books. They are “One Man’s View of the World” in 2013 and “The Big Ideas” last year. For the Big Ideas, I had summarise some of my thoughts garnered/learned from the book as follows. These were replica of my earlier post. You can refer to my earlier articles links at the end of this post. • If something is worth doing and what you firmly believe, chase till the end. • Size does not determine our destiny. • Stay relevant always. Adapt and Change if necessary. • Be courageous. Respect is always mutual, despite your size disadvantage. • Taking calculated risk is necessary at times, as long as you plan thoroughly. • Learn from the best including their errors. • Be attentive to detail but keeping big picture in mind. • Confront problems, not escape from it. • Develop and maintain external relationship. • Think ahead and think long term. 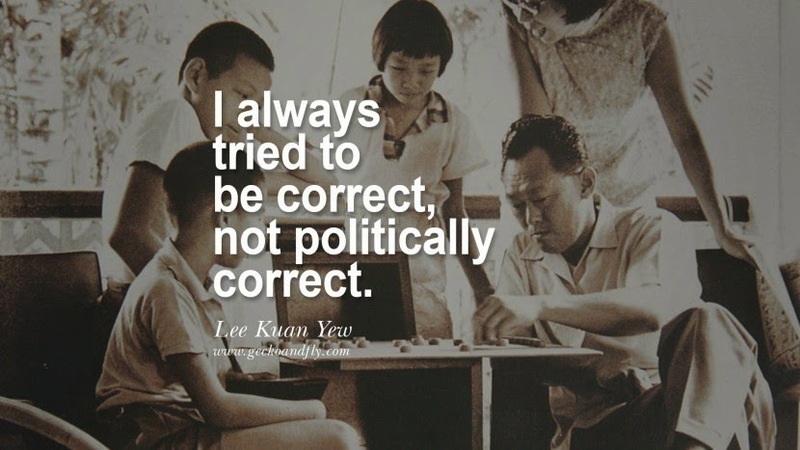 Below a 3 parts video on Lee Kuan Yew. About the rest of us, many of us slog ourselves so that the human race can continue. No? Yes, we do what need to do now. The results may not be current (not important), but eventually it will pay off for the future generation. In Norway, they had abundance of unexplored oil fields. The people knew it. But they will never exploit it once and for all. Instead I was told by the Norwegians, they will drill gradually so that it can last few hundred years for the future generations! I was impressed! While they were lucky to have oil, they also think far ahead. On the contrary, Brazil keep drilling and drilling in the last ten years... the growth is not matched by resources and people talents. Indeed. I think going forward a great man like that is hard to find. What is possibly easier is to have many good man to replace one great man. Therefore all Singaporeans incl. PR should do our part for the nation and not only just think narrowly for their own interest only. In China school classes starts from 7 am to 4pm from Monday to Friday.Saturday and Sunday is official leave in schools and universities.Also there is a 2 hour lunch break in schools and also sports time is offered and custom essay writing service is used to help the students. Singapore is a parliamentary republic with Westminster sysytem of unicameral parliamentary government representing constituencies. The country’s constitution establishes a representative democracy as the political system. College paper writing service , always with my!